Readers, I’d like to congratulate you for making it through January in one piece. Well done if you’ve stuck to healthy living and double points if you’ve managed some exercise. January is a miserable month and I was delighted to be cheered up by a box of snacks turning up at the door from The Snack Organisation. I received three flavours of their new rice crackers – teriyaki, sweet chilli and lightly salted. They are gluten free (bonus for special diets) and are great for after work snacking, enjoying in the “hangry” period between breakfast and lunch and ¼ of a large pack is only 100 calories. Result – open them on a Monday and you’ll have 4 days of snacking. 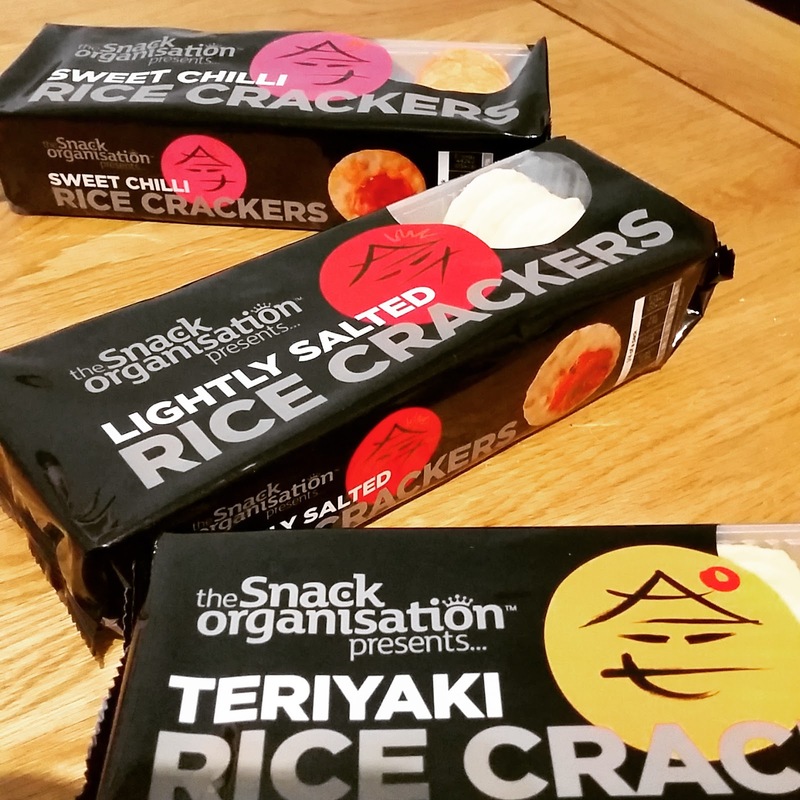 So far, we’ve tried the teriyaki and sweet chilli varieties. Teriyaki has been the hands down favourite, but I’m also looking forward to trying the lightly salted variety for those days when you just want to keep it simple! These were fairly “crispy” – so if you are on crisp cutback, it’s a similar sort of sensation to biting into some crisps. Might make the swap to healthier living a little easier. stores priced at £1 per pack – a bargain for several days’ worth of snacking! For more information on the products, why not check out their twitter or facebook page? Disclaimer: I was sent 3 packs of crackers to review. Any opinions expressed are my own.